Lets you use the files hosted on your Google Drive as Download Monitor files. After installing and activating the extension, all of your Google Drive files will automatically be converted and work. 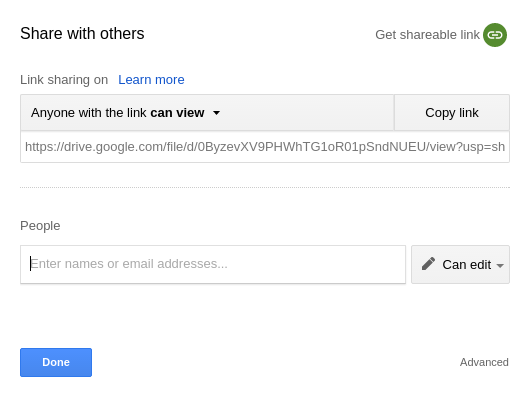 When sharing your Google Drive file, you can set the way you want to share the file. You can choose to share your files Anyone with the link or Public on the web. This is the preferred way of sharing your file. It will make the file parse-able by Download Monitor while not allowing indexation of the URL. Your visitors will not notice the difference between regular Download Monitor downloads and those parsed via Google Drive. The extension will parse the default sharing URL Google Drive offers you, this sharing URL can be used as your version URL. What URL should I enter as the version URL? 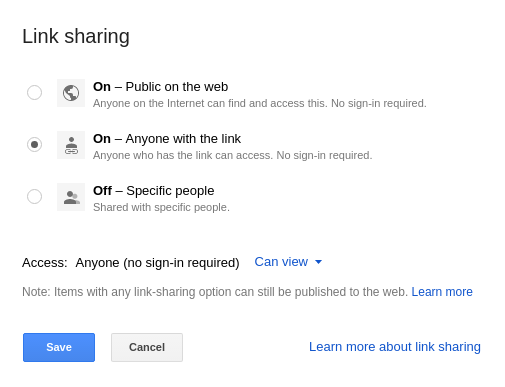 You can use the default Google Drive sharing URL. Unfortunately we can no longer avoid this virus scanner notification because Google deprecated the way we were using. The virus scanner notification will always be displayed for larger files that Google can’t scan.